Over the past five years, I’ve traveled a lot to visit schools in far-flung places: Oklahoma, California, Texas, Florida, Michigan, Virginia, South Carolina, Massachusetts, etc. Mostly I stay in the NY/NJ area. But regardless, the basic fact remains: I’m not at home. I’m often alone, away from my family, unwrapping a plastic cup from inside a plastic wrapper. Sigh. One of life’s little puzzles is how to properly tip the chambermaid. For the longest time, I was never quite sure. So I faked it, without much rhyme or reason. 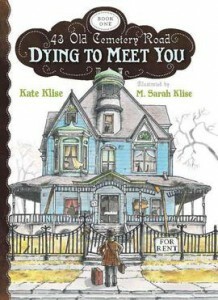 Last year I met author Kate Klise in a hotel in Rye, NY. We share the same tour administrator, the awesome Kerri Kunkel McPhail, who organizes and coordinates our school visits in the greater Westchester area and beyond. 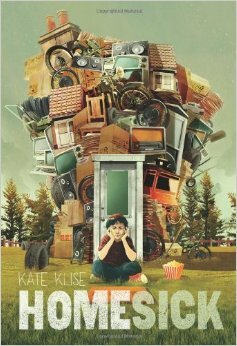 It’s a rare treat to meet real, live authors, especially since we spend most of our working lives alone, tapping out words on a keyboard. I quickly learned Kate is a hugely talented author, dedicated and wise to the ways of the world, and a kind person, too. I liked her a lot. Sitting in the lobby, we hit upon the topic of hotel living. I must have said something about tipping the chambermaid, because Kate gave me a suggestion that I’ve used in every hotel stay since. It immediately made sense to me. After all, that’s all anybody ever wants in this life. Some basic recognition, a note of appreciation. The tip is one thing, certainly, but taking one minute for a quick note brings it to a higher level. Now every morning in a hotel before I’m rushing out for a day’s work, I quickly grab a piece of paper, write “THANK YOU!” or some variation, and leave a tip. And every time, I feel good about leaving behind a little extra kindness. And last week, for the first time, I got a response . . . with three exclamation marks. 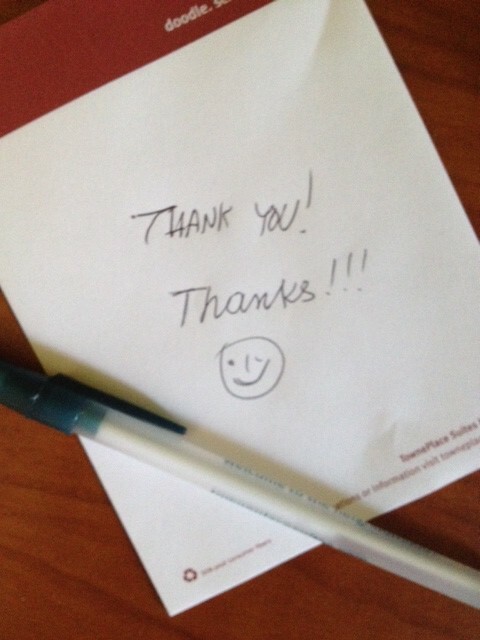 Magnificent ideas…both leaving a daily tip, but more specifically, a REAL WRITTING THANK YOU NOTE!